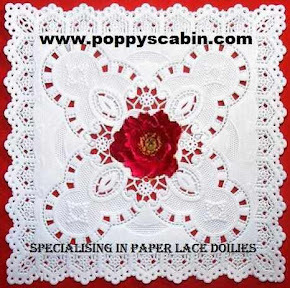 White base card with backing paper from the lovely Angie's photobucket site and you can get it here. The images if Karens Doodles 'Summertime Boy- Soccer' and you purchase it here. I have coloured him with Promarkers. I cut a silver shape with Nesties and added a Circle Sentiment from Beccy's Bits and you can get this here. I added a silver peel-off football to the centre of the sentiment. Great card Maureen,boys cards are so hard,well done. Thanks for joining us at Meljen's Designs for our "Happy Birthday" Challenge. Hi Maureen love the card!!! fab!!! 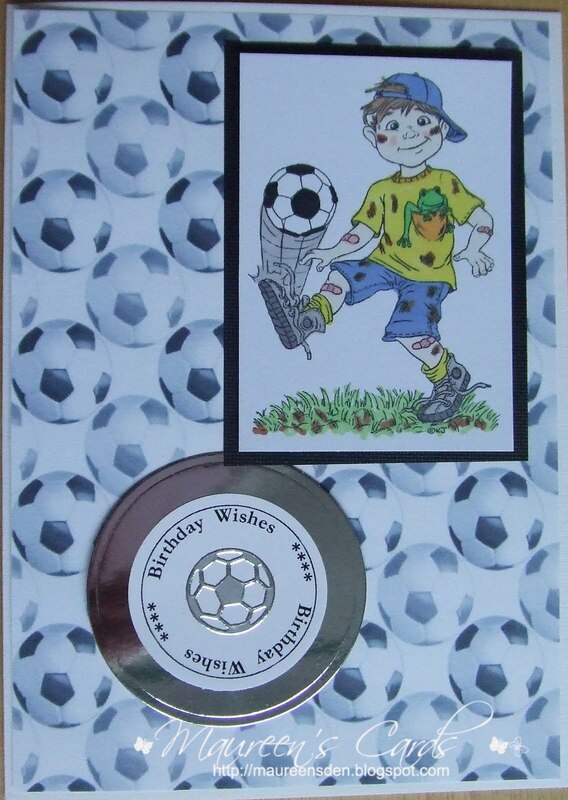 Super cute soccer card, Maureen:O) Great design. This is a great guy card! I love the soccer paper and your colouring is FAB!!! THANKS for joining us at Karen's Doodles! Wow, fabulous card, what great background paper. 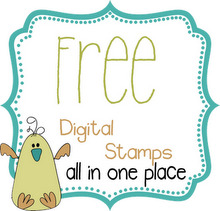 Good luck and thanks for joining in on the fun at Karen's Doodles challenge blog.